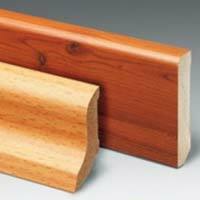 wooden skirting we offer delivers unmatched beauty, durability, structural strength, and overall long life .The profiles available are Skirting 60 mm, Skirting 70 mm, Skirting 76 mm, Skirting 90 mm, Skirting 100 mm and can be made upto 225mm, Adaptation Profile, Transition Profile, Side Beading, Stair Nose Profile, End Profile etc. 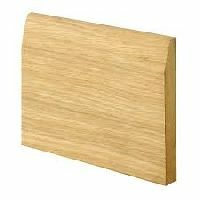 We manufacture, export and supply a range of high quality Wood Carpet Skirting which is made out of the best quality wood as per the international standards. Our Wood Carpet Skirting is durable and low on maintenance. The wooden laminate skirting we manufacture, export and supply is used to hide the expansion gap between the laminate flooring and the wall. 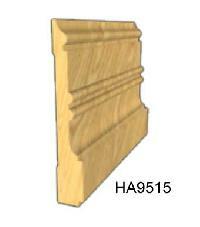 Our wooden laminate skirting is available in different shapes and sizes. 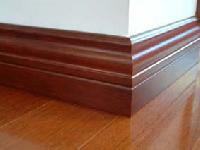 We offer premium quality wooden floor skirting. 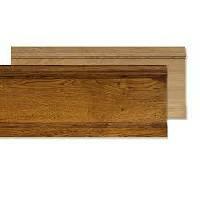 This wooden floor skirting is known for the best quality and resistant to early wear and tear. 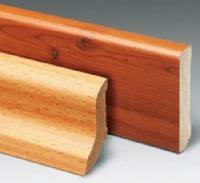 Our wooden floor skirting is manufactured from the best quality wood for durability and perfect finish.